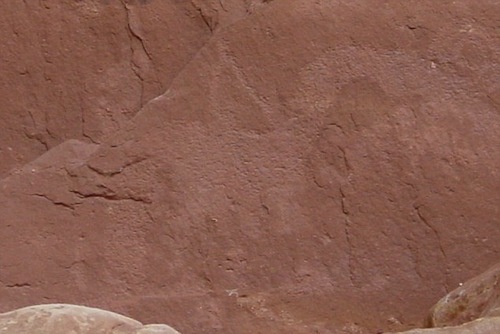 Has the Kachina Bridge Dinosaur Petroglyph Been Falsified? Not Even Close! 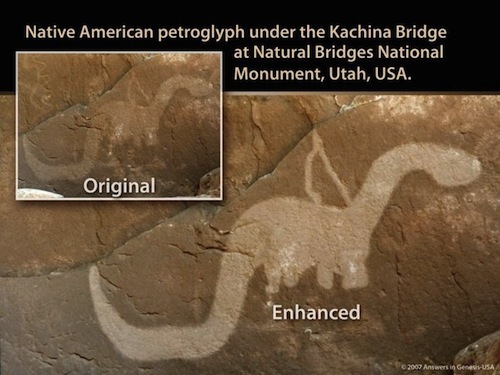 In March 2010, an intrepid pair of evolutionists, paleontologist Phil Senter and archaeologist Sally Cole, went out to Creationism’s most famous dinosaur icon, the Kachina Bridge sauropod petroglyph at Utah’s Natural Bridges National Monument. It really does look like a dinosaur that some man decided to artistically portray. It doesn’t look like a bison, deer, lion or cave bear. It looks like an honest-to-goodness Camarasaurid, not some superstitious devil of the primitive imagination. Since the Big Story of microbes-to-man evolution requires an “Age of Dinosaurs” that predates humans by millions of years, good little evolutionists cannot let a piece of evidence that suggests the co-existence of man and dinosaurs go unanswered. Um, first of all, that’s FIVE predictions not four… Am I expected to believe this paper was peer-reviewed when it clearly didn’t even suffer the scrutiny of an editor?? Indeed, the entire affair seems to suffer from a lack of scrutiny! 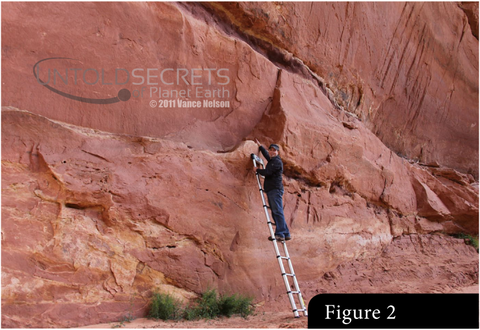 Senter and Cole admit that in order to “test” these predictions, they did nothing more than to examine the petroglyph “with the naked eye and with the aid of binoculars and telephoto lenses. Observations were made while the images were illuminated by direct and indirect sunlight and when they were in shadow.” They eyeballed it. That’s it. I don’t understand. Am I supposed to believe these guys didn’t have any graduate students they could press into service? Especially when young earth creationists and the original Native American artists seem to have been able to manage the feat somehow… Lazy! Real researchers bring ladders. Unfortunately, this means that all they were able to provide us with were smallish black and white photographs of the petroglyph [and their interpretative drawings, of course] rather than the high-resolution close-up images readily available on the sites of creationist who bothered to make the climb and take measurements and what-have-you. Prediction #5 fails because art can incorporate naturally existing elements instead of being entirely human made. (Way to fail Art Appreciation 101, guys) It doesn’t matter whether the finished product incorporated naturally occurring elements or not, because we human artists do it all the time! Prediction #1 fails for the exact same reason. If naturally existing elements were capitalized upon to render Dinosaur #1, well, it would be a composite image of several different elements. Even if it had been a composite image of several distinct images that wouldn’t disqualify it from being a rendition of a dinosaur. 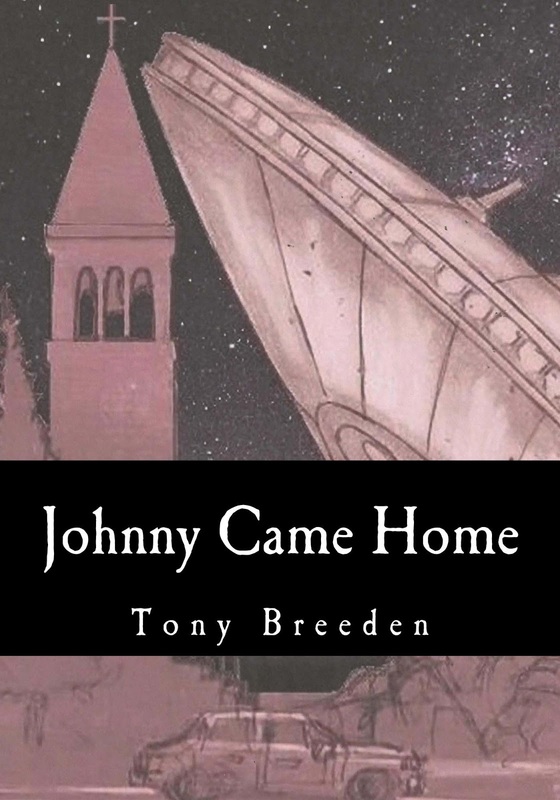 The artist could have pulled together existing elements to depict something new. Something like a collage. As it stands, Senter and Cole offer no alternative explanations for the “blobs” they claim are distinct images; this would add credence to my theory that they were elements added to naturally occurring elements to bring the picture together into a cohesive whole. Prediction #3 is redundant and is presumed within Predictions #4 and 5. Senter and Cole only include this item because they say that the kachina Bridge sauropod is basically an example of pareidolia; that, in this case, we’re really seeing two unrelated blobs that give the impression to the untrained eye of an animal. It should be noted that they do in fact think that these two blobs were man-made we’re really claim that the “blobs” are not animals but they offer no explanation as to what they are. Their intent is to refute, not to explain… another indication of bias. In any case, since art can incorporate pre-existing forms into the final product, it doesn’t really matter what these blobs were, even if we presumed they were valid, because the finished product is clearly an animal… an animal that looks very much like a sauropod dinosaur. 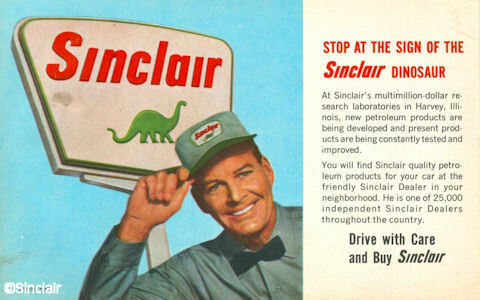 The fact that it looks so much like the Sinclair Gas logo is coincidental, given the level of patina on the image; however, the fact of that logo demonstrates that an animal depiction can be stylistic and generic and still be recognizable as a purposeful rendering. in other words, we need not identify a specific breed of dog or species of sauropod, to recognize that the artist intended to portray such… making Prediction #4 an overstatement. Yet they made observations from afar with the naked eye and a telephoto lens, conducted zero tests …and came out with really bad, over-exposed black and white photos and subjective line drawings to support their argument. Um… Isn’t that level of subjectivity supposed to be one of their criticisms of the creationist (and I daresay the everyman’s) interpretation of the SAUROPOD? In the end, their observations confirmed their foregone conclusions. They decided that the dinosaur was really two other petroglyphs confused into looking sauropod-ish because of some mud stains that frankly don’t look like any of the other naturally occurring mud stains in the vicinity, seeing as they end, abruptly, in stumps suggestive of elephantine legs rather than trailing off in thinner, root-like patterns. In other words, we don’t know what it is but it can’t be a dinosaur. Frankly, I would have had more respect for their effort, despite the obvious confirmation bias evident in their lackadaisical methodology, if they could have been bothered to make a close up observation, conduct some tests, and, oh yes, give us their interpretation of that this alleged non-sauropod composite was actually meant to portray. Of course, Senter and Cole didn’t bother because they knew the choir they preach to would latch onto it out of desperation so long as he assured them it wasn’t a dinosaur. If the Kachina Bridge petroglyph is a matter of interpretation – and we must note that Senter and Cole’s lazy methodology and shoddily constructed predictions certainly suggest this is the case – we note that the creationist are bothering to do the leg work. “…contrary to what is widely assumed by evolutionary biologists today, it has always been the anti-evolutionists, not the evolutionists, in the scientific community who have stuck rigidly to the facts and adhered to a more strictly empirical approach.” – Michael Denton, Evolution: A Theory in Crisis, Burnett Books, London, 1985, pp. 353-354. Next Post What’s a Christian To Do With The Multiverse?